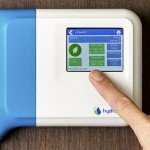 The Orbit B-Hyve Irrigation Controller has so many features so we have developed a list of the most Frequently Asked Questions. 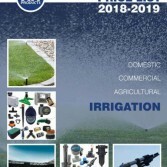 HR Products is Australia’s leading distributor and largest wholesale, import and manufacturing supplier of quality irrigation equipment for both commercial and domestic use. What are you guaranteed when you buy irrigation systems from HR Products? With our high quality irrigation systems, gardeners and farmers will reap the benefits of disease and weed prevention, water conservation and gardening flexibility. 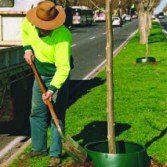 We’re one of the leading distributors of quality irrigation supplies in Australia for both commercial and domestic use. Browse our product range and contact us today. Founded in Western Australia, we have five fully stocked warehouses in all mainland capital cities and distribute our products throughout an extensive dealer network in Australia. Whatever you want, we’ll try our best to find it. We offer an extensive product range and next day delivery and only source and supply quality products ensuring value and performance. Our team of irrigation professionals are dedicated to ensure that you have the best products and service to and make sure you get the best information for project requirements. 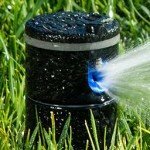 We provide products and solutions for maximum water-use efficiency for automatic and other irrigation sprinkler systems. These products are Hunter rain sensors and Irrometer soil moisture control. Flow management is supported with Hunter flow sensors and Krohne electromagnetic flow meters. We distribute the widest range of irrigation systems, valves and sprinkler timers from leading brands as well as our own HR Products brand. 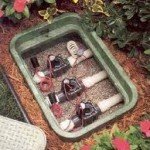 Irrigation and sprinkler valves are at the heart of your watering system, so you always need to make sure you buy the best. We distribute one of the broadest ranges of irrigation and sprinkler valves in the industry that are designed for use in all irrigation systems, turf, landscape and watering projects. Installing filtration products such as screen and disc filters can reduce build up and prolong the life of a piping system while also saving energy. For the best products and advice on screen and disc filters, talk to our friendly team and we’ll advise you on the best brands to use. We stock a complete range of irrigation, poly pipe and PVC fittings suitable for use above or below ground, in varying operating pressures and temperatures. All our irrigation controllers are easy to install and operate, and have a range of powerful features that will help manage even the most complex watering systems. We have a complete range of irrigation, poly pipe and PVC fittings suitable for use above or below ground, in varying operating pressures and temperatures. We’re committed to providing you with top-quality products that use only the water and energy needed to get the job done efficiently. Whether you need components or PVC fittings for agricultural, industrial, recreational (golf courses, sports fields) or home automatic irrigation and sprinkler systems, make HR Products your first choice for range, competitive pricing, friendly advice, professional service and speedy delivery. Get expert advice from our friendly team on the best wholesale products for your business to on-sell to end users. 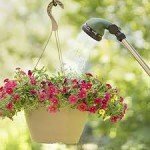 Find irrigation pumps for sale and the best commercial automatic irrigation systems in Australia at HR products today. Contact us today and find out more about our full range of products.